Tomorrow evening Indigo (243 K Street, NE) will open for its first dinner service and will bring authentic Indian cuisine to the corner of K and 3rd Street, NE. The restaurant will be open for dinner service Monday-Friday and will be open from breakfast through dinner on the weekends. They will also offer takeout and delivery service in the region. There will not be a set menu, but instead there will be a rotating menu of Indian dishes that will change every 3-4 days. Diners will enter the restaurant and order food at the main counter and pick up their meal when it is ready at the counter. Initially, Indigo (a name derived from “Indian food on the go”) will also have a limited alcohol menu of beer and wine, but they hope to expand their selections in the coming months and have a freestanding bar in the restaurant. However, authentic Indian street food that highlights the spices and flavors of the region and uses the freshest available ingredients will always be the focus of Indigo. Indigo is the culmination of many years of work in the restaurant industry for husband and wife owners Dinesh and Nidhi Tandon. The Tandons owned a restaurant in India for several years prior to moving to the United States in 2003. While they took a few years off from the culinary industry when they first moved to this country, they began operating a food truck in 2010 that served Indian dishes right outside of Union Station. As Dinesh explained, they had a very strong response to their food and soon they had a large enough fan base that they expanded their operation to a stall at Eastern Market that has been operating for the past two years. They also began to do a strong catering business and last year began operating a stand once a week at Georgetown University’s market. During this time of expansion, they rented an industrial kitchen in Virginia and were having to work incredibly long hours (many times waking up at 3am) to go from market to market picking up ingredients, bringing them back to their rented kitchen, cooking the dishes, and then transporting them to Eastern Market (or the Georgetown University market) to sell. Throughout this time, they dreamed of finding a place where they could establish a brick and mortar restaurant. Their search for the ideal location took a while. Dinesh looked at several places on H Street and entered serious negotiations, but none of them worked out. He kept searching everyday for potential places. The Tandons have a house near Trinidad in NE, and Dinesh would frequently pass by the Franklin Carryout located at 3rd and K Street, NE. While the market was fairly rundown, Dinesh believed that it would be a great location to establish a restaurant. 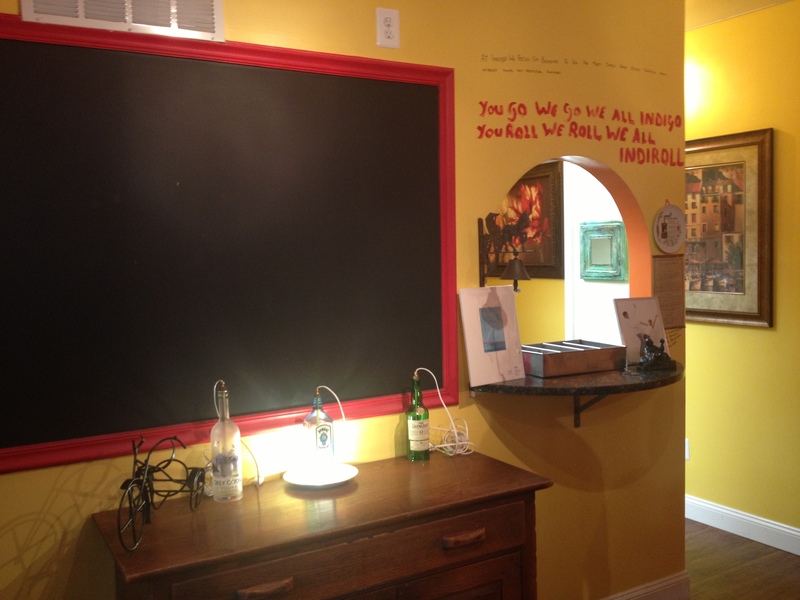 One day the owner of Franklin Carryout put the place on the market; Dinesh responded within hours of the listing. 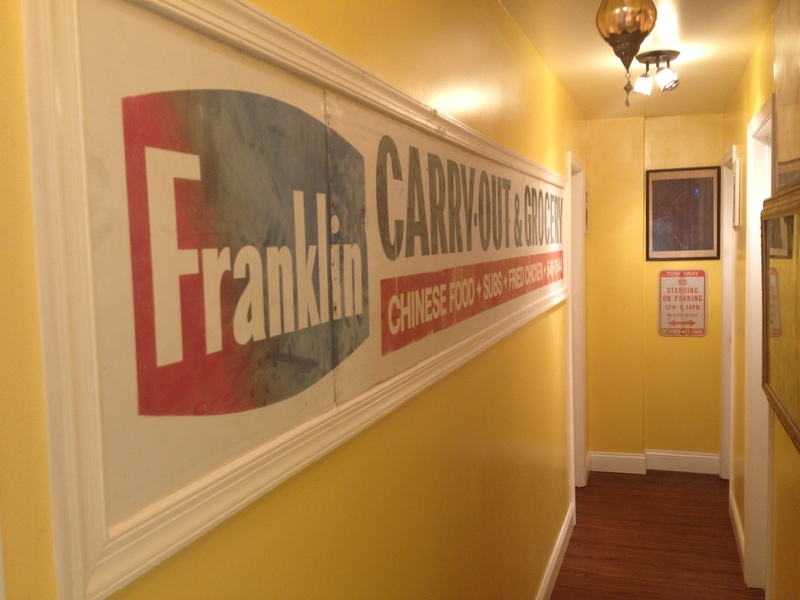 The old Franklin Carryout required significant renovations and improvements. The Tandons moved quickly to make these changes, and the result is a very nice interior that has erased the old traces of the Franklin Carryout (except for the Carryout’s sign which Dinesh kept and has displayed on the wall in the hallway by the restroom as a memory of the building’s history) and has created an Indian vibe to go along with the food. 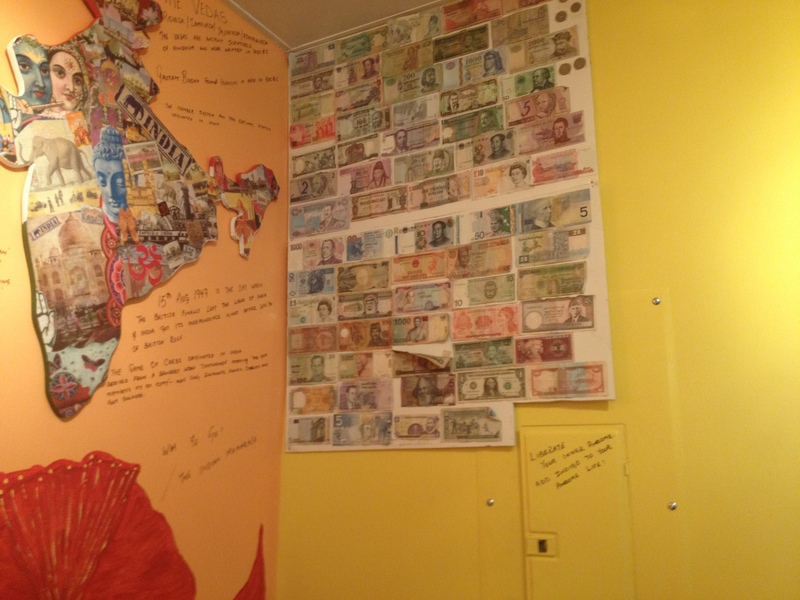 The interior is mostly orange and yellow with exposed brick and various pieces of Indian artwork lining the walls. 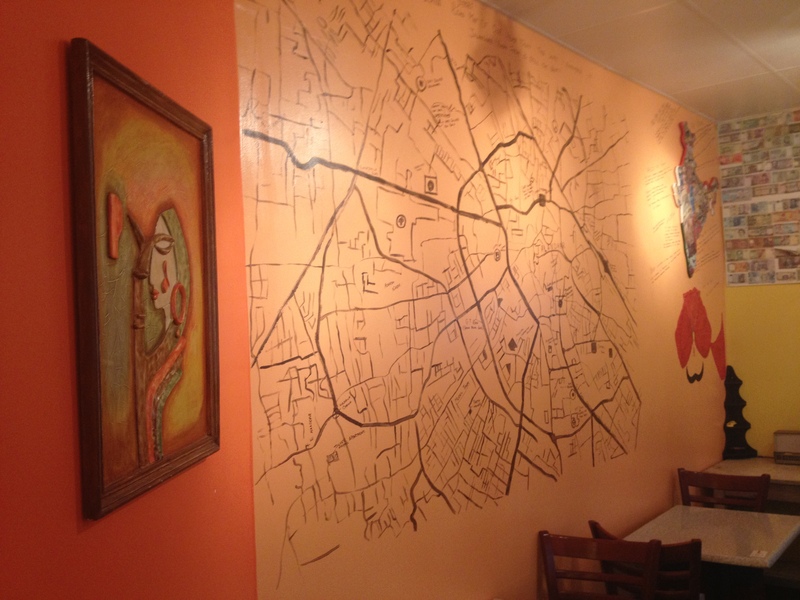 They also painted a large street map of an Indian city on one of the walls. While it is still awaiting some final permitting, Indigo will soon have a fully functioning patio with several tables for diners to enjoy their food outside on pleasant days. Down the road, Dinesh hopes to push out one of the walls to have a bar that can serve both inside and outside. Additionally, they may expand the restaurant to the upstairs section in the coming years. The Tandons stressed that the focus of the restaurant will be on real authentic (and good) food. They said that many places start out claiming that they want to focus on the food but soon get distracted. They do not want that to be the case at Indigo. Nidhi will be the primary chef and all of the dishes will be based upon traditional family recipes from her and Dinesh’s families. As Dinesh put it, they want the food to be homestyle because it will be the same food and dishes that they have been serving their kids and family in their household for years. 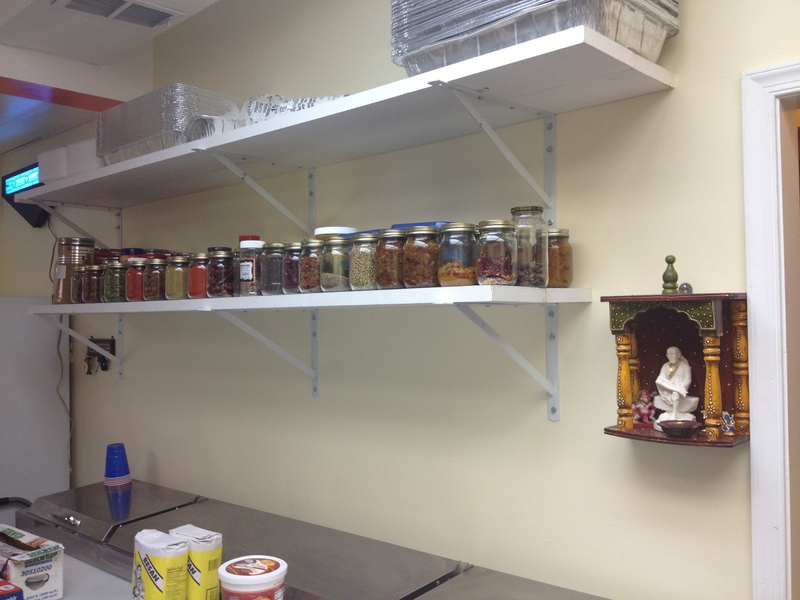 The kitchen has quite an array of jars full of spices, many of which have been ground in house by Nidhi. They will always have several vegetarian options on their rotating menu and will have a range of spice levels so that everyone can enjoy Indigo (although Dinesh admitted that he likes it as spicy as possible…”we want to add spice to your life!”) While most of the dishes will be served as meal sized portions, they will also offer a Thali plate–the Indian equivalent of a plate of several tapas or small dishes so that you can sample a little bit of everything on the menu. Indigo will open its doors for service starting tomorrow (Wednesday, September 4th) night. In addition, the Tandons plan on continuing to operate at Eastern Market and at the Georgetown University market once a week. While just getting started, Indigo has the potential to become a great dining spot that is easily accessible to H Street, NoMa, and Capitol Hill.